Japan is a wonderland. Food, culture, nature, history — there’s nothing that this mystical archipelago doesn’t do well. 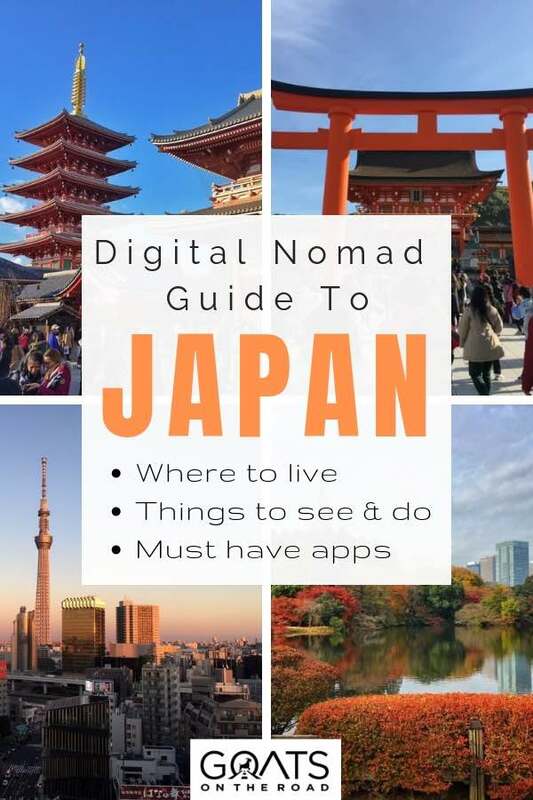 Living in Japan as a digital nomad is going to put all that within easy reach of you at any time. 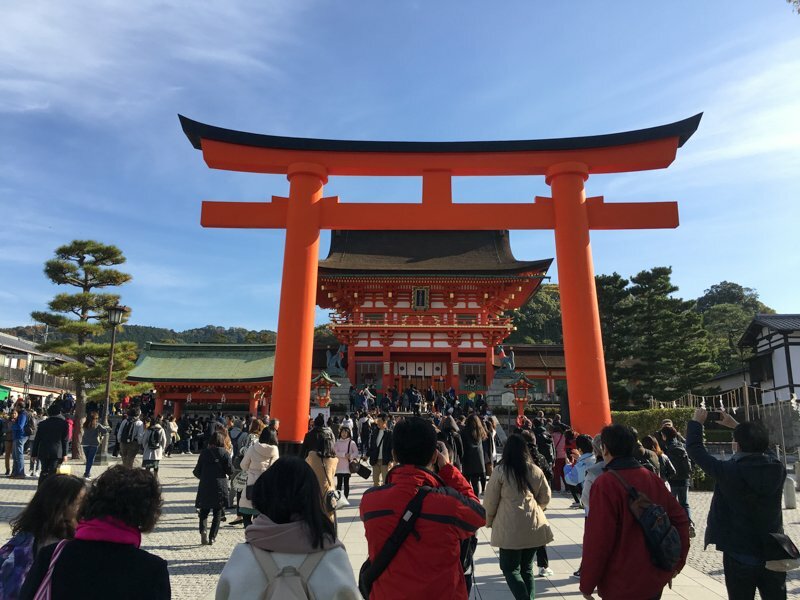 Begin your day with a walk to your local Shinto shrine, head to a slick co-working space or a cafe, grab some sushi for lunch, and then spend the afternoon exploring the city. Heading anywhere from a yakitori restaurant to a teppanyaki place for dinner is par for the course. Practice your Japanese phrases, save up those pennies, and prepare yourself for having the best of Japan’s sights and natural wonders on your doorstep. Living in Japan is a lot of fun. In this article I’ll share what it’s like to live in Japan as a digital nomad. Read on for my top tips and advice. Living in Japan is far from the norm you’re used to. Ok, so it may be a modern, developed nation, but things work differently here. Knowing some of the basics when it comes to blending in and being respectful is going to go a long way. Bowing: This is a real thing in Japan. From big bows on first meetings to nods of acknowledgment when your food is delivered to your table, you’ll be doing this a lot. Shoes off: Yes, it’s true, you don’t wear shoes in Japanese homes. Even in some restaurants and in centuries-old castles, you should remove them. It makes sense; just think about what you tread in from outside! Eating in public: Looking around, you’ll notice people don’t really walk along when they’re eating, or even stand around and eat on the street. There are designated spots for eating, and chowing down just outside a food stall is fine as well — just make sure you’re not walking and eating. Littering: No way. Japan is very clean, which is one of the reasons I love it so much. And the cleanliness is due to people tidying up after themselves. When you do throw out your garbage, make sure you use the right bins. Being loud: Even in busy streets, you’ll notice the lack of noise from crowds of Japanese people. Especially in trains, it’s the norm that people keep their voices down and barely use phones. You should follow suit. Japan is bigger than you might think. All the way from frozen Hokkaido in the north to subtropical Okinawa in the south, there are numerous places across the 378,000 square kilometers of this nation that you can base yourself in. Whether you’re looking for traditional culture, gleaming skyscrapers or outdoor activities, there’ll be a place in Japan for you. But not everywhere is exactly geared up towards digital nomads living in Japan; often, you’ll find yourself simply working in a cafe with wi-fi, rather than a co-working space, no matter where you are in the country. 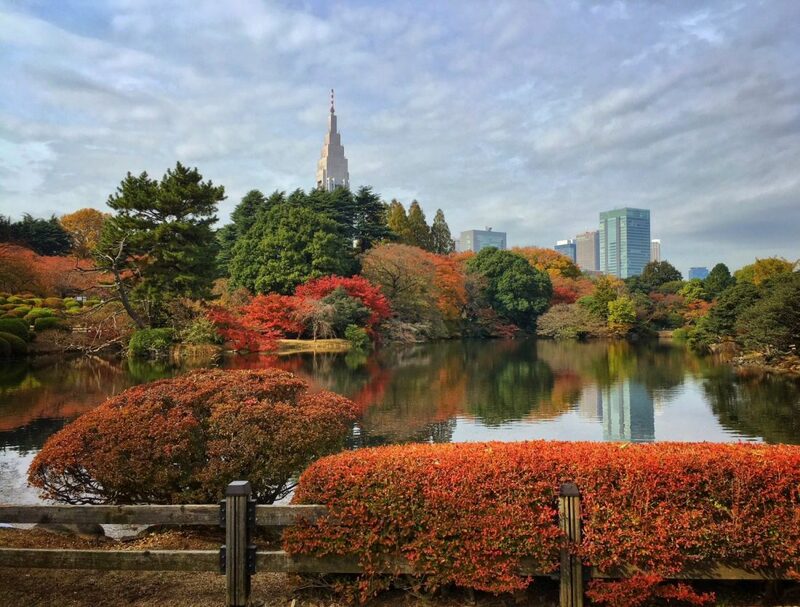 The iconic capital has a whole lot to offer for digital nomads living in Japan. It is absolutely huge and one of the biggest metropolises in the world, with a population that rockets well above 13 million people. If you want to get stuck into 24-hour city life, this is the place to come. In fact, Tokyo itself is made up of many different city centers (Shibuya, Shinjuku, Ginza), and many more. There’s a lot to explore. Life in Tokyo is more expensive than living in Japan’s other prefectures, without a doubt. The accommodation, though still cheaper than some European cities like London and Paris, will eat a sizeable chunk of your money. Ah… the food capital of Japan. The centrally located city is 500 kilometers west of Tokyo and is far more out there. This is where to come if you like eating and drinking. Here, you can get to grips with Osaka ‘soul food,’ such as takoyaki, yakisoba, and, of course, okonomiyaki. Osaka also happens to be another sprawling city complete with malls, endless underground shopping streets, and a buzzing nightlife. It’s also considerably cheaper than Tokyo. The old imperial capital of Japan is a stone’s throw from Osaka. This is where you should live in Japan if you want to wander quiet traditional backstreets and have world heritage, UNESCO status, centuries-old temples on your doorstep. 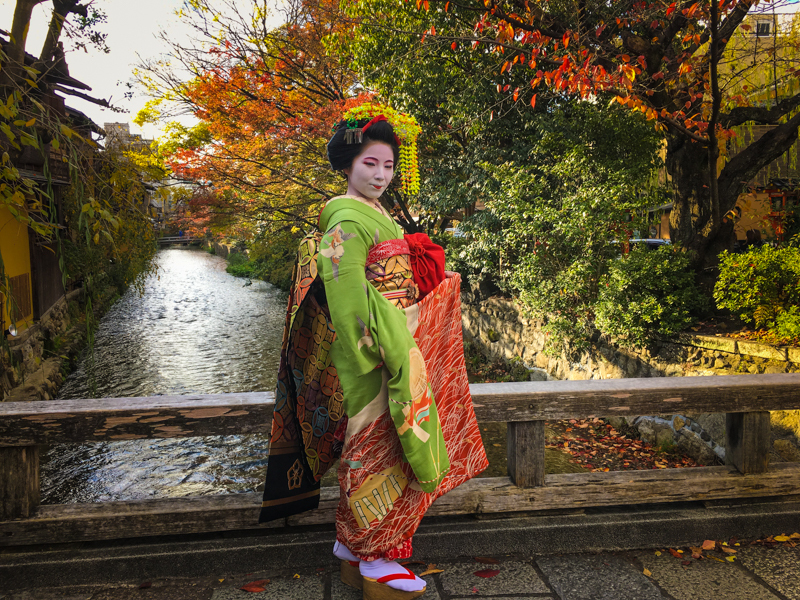 There are numerous fun things to do in Kyoto to keep you busy. And while it sounds perfect, the downside of Kyoto are the tourists, which are mighty plentiful during high season. Accommodation is also rather expensive in this city. Famous not only for beef, Kobe is also the sixth largest city in Japan and one of the most multicultural cities in the country. It was one of the first cities in Japan to be opened up to foreigners. Because of this, there’s plenty of foreign food (i.e. food from home) to enjoy and a community of westerners to socialize with. There’s a historical area here with many Western residences, as well as a rather large Chinatown to explore. Japan’s burgeoning start-up city is a great option for digital nomads who like life by the sea. Set on Kyushu, the third largest of the Japanese ‘home islands’, Fukuoka boasts sandy beaches, funky malls, and a vibrant tech scene. Life here is good — so good that it’s often ranked as one of the most liveable cities in the world, helped by its mild winters and balmy summers. There are also easy ferry connections to South Korea if you want more adventures. 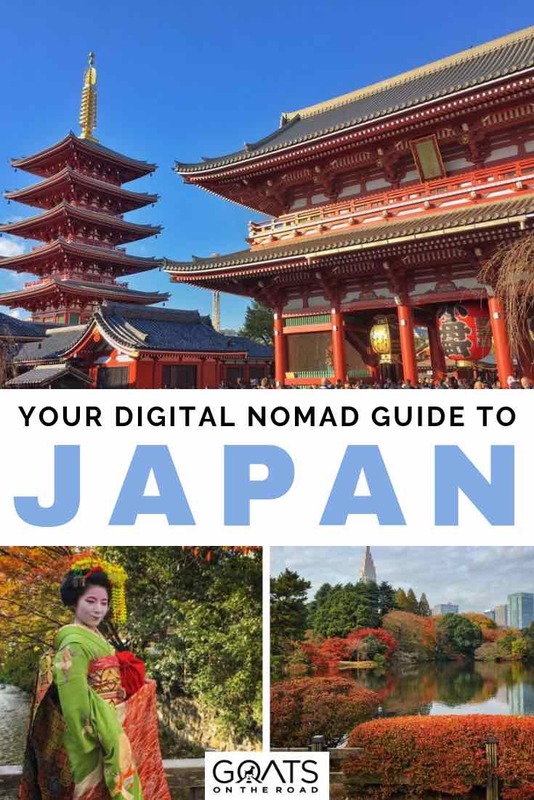 Aside from the big cities, there are dozens of smaller cities scattered across the islands where you could make a home for yourself living in Japan as a digital nomad. They range from Matsue on the Sea of Japan, Kochi on the south coast of Shikoku, and Nagoya (which is actually pretty big). And we haven’t even mentioned Hiroshima or Nagasaki, let alone Sapporo, the icy capital of Hokkaido, or the other chilly towns of the Tohoku region like Niigata, Aomori, and Sendai. Living in Japan isn’t all about cities. If you want a taste of the authentic, everyday lives of Japanese people, the countryside (or inaka) is where it’s at. Even some ‘cities’ in Japan are often just made up of small towns and villages, e.g. Bizen in Okayama prefecture and Ise in Mie prefecture. Life in these places is ruled by nature and a lack of amenities. People here are hardworking and friendly. This is definitely a good option if you want to enjoy a more simple side to Japanese life. But be warned, you will definitely stand out as a foreigner! There are numerous accommodation options in Japan. Just keep in mind that most won’t offer a large living space, which you might be accustomed to. Japan’s hostels are amazing. 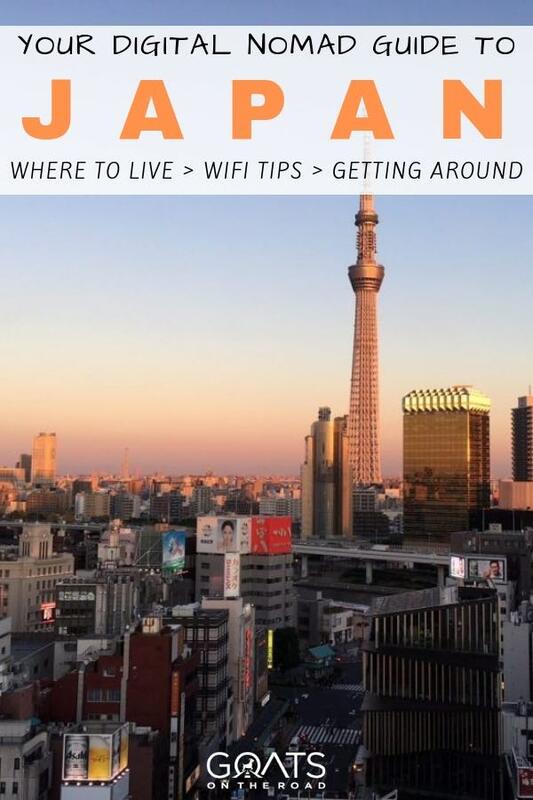 Especially in cities, these places are well geared up for digital nomads living in Japan. They usually come with common areas with strong wi-fi and tables for people to work at. That said, living long-term in a Japanese hostel could get pricey even in a dorm — not to mention, cramped. A good option for when you first arrive in Japan, hotels are all over the place and usually pretty well located next to train stations and top sights. However, the rooms are pretty compact and the rates get quite high, especially in tourist seasons. Naturally, hotels are cheaper in towns that aren’t tourist hotspots, but aren’t the best choice for long-term living in Japan. 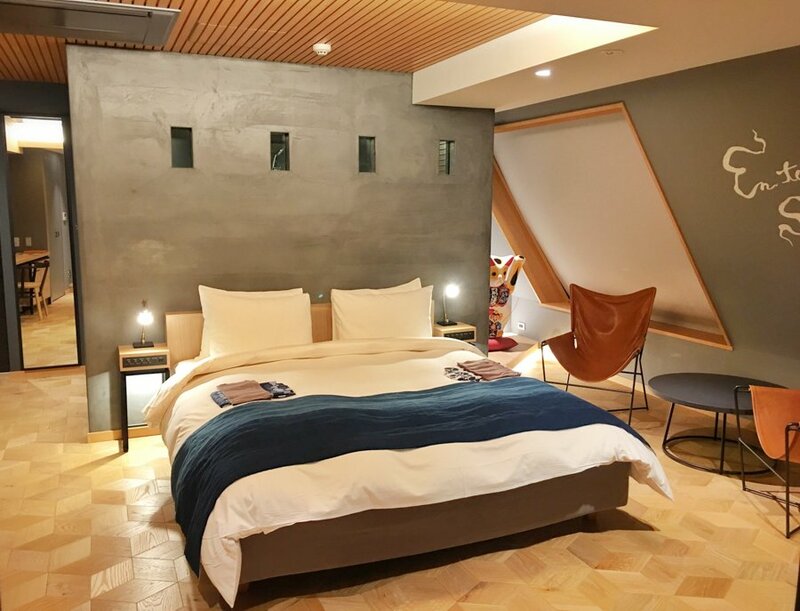 Airbnb used to be a godsend for a digital nomad living in Japan; it was unregulated and cheap with a myriad of options all over the country, even in the most off-the-beaten-track locations. Since the government made it more difficult for people to become Airbnb hosts in 2017, there are now fewer Airbnbs to choose from in Japan. But they’re still a solid option for digital nomads and bargains can be found. It’s a great way to feel like you’re actually living in a city and in many cases, you’ll become friends with your host. Airbnbs often come with pocket wi-fi too. If you’re looking to base yourself in a city for a few months, then living in Japan can’t get much easier or cheaper than staying in a shared house. The shared houses consist of your own furnished room with communal facilities. Wi-fi and bills are usually included in the price and, even though the location might not be in the middle of the city, the houses are usually near a train station and shops. If you have, at the very least, a one year Working Holiday Visa, you may be able to rent your very own apartment to get the most out of living in Japan. Even in Tokyo, the apartments for rent are surprisingly affordable, but usually come unfurnished and with no wi-fi. Be ready for an adventure and immerse yourself in a truly Japanese process, with all the paperwork to go with it. Some basic Japanese language knowledge would be helpful in this instance. Being utterly chock-a-bloc with amenities makes living in Japan hassle free. There are libraries everywhere, parks on every corner, a crazy amount of convenience stores, video game arcades, doctors’ surgeries, hospitals, post offices in every town (even the smallest village), numerous hairdressers and shopping opportunities galore. And, of course, more restaurants and cafes than you could ever imagine. Unless you choose to live somewhere very remote, you’ll be very well catered for in Japan. Japan’s railway network is world-famous and there’s a reason for that — it’s amazing. You can get pretty much anywhere thanks to a very comprehensive train network. 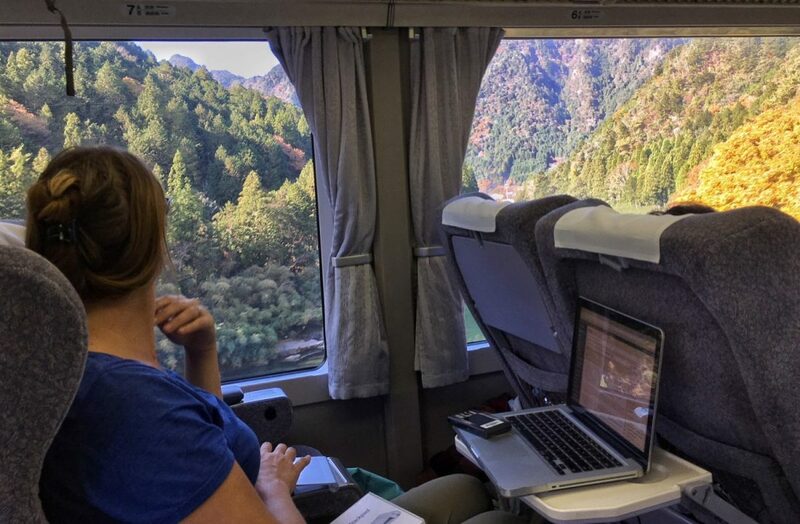 This includes charming local trains that chug through lush valleys as much as it does the gleaming shinkansen and their white-gloved attendants. Then there are the metros, monorails, and trams of Japan’s cities. Fairly inexpensive (much cheaper than London’s tube, for example), using inner-city railways is part of living in Japan. They’re really clean and efficient, just try not to travel in rush hour, especially with luggage, and don’t talk too loudly, or eat. By doing so, you will stand out, and not in a good way. Long distance buses are cheap compared to shinkansen and can really help you stick to a budget. The night buses are even cheaper and pretty comfortable too. There’s a new online booking system which is easy and means you can book in advance, rock up, and just show an e-ticket on your phone. There are also local bus networks in towns and cities that connect to places that the trains don’t reach. You’ll find taxis in cities, often outside train stations. Not exactly a budget option, they’re handy if you need to get to your accommodation with heavy bags or have missed the last train home. Uber is also an option, though actually more expensive than taxis. Renting a car is a nice idea if you want to travel around whilst you’re living in Japan. Cars can be expensive and there’s things like tolls to pay. Parking in cities can be pricey too. But there are some beautiful coastal routes and winding mountain roads to drive along. Cycling in Japan is big. Getting around the cities on two wheels is easy and safe. There’s even designated underground bicycle parking and most people ride on the pavement. Want more Digital Nomad guides and information? Click here to see all our posts. For all of Japan’s technological accomplishments, getting online isn’t as easy as you might think. Strange, I know. While big train stations, malls, and convenience stores have wi-fi, cafes don’t always, and if they do, they might not have power sockets! For a digital nomad living in Japan, finding the right chain of cafe is going to be key to getting some work done. Caffe Veloce, Starbucks, and some branches of Doutor come equipped with wi-fi and sockets, as does McDonald’s and, my favorite cheap family restaurant, Cafe Gusto. Finding a co-working space isn’t too tricky in cities like Tokyo. Search online for your nearest one. Some offer free trials and are good places to meet other people. Another option is to rent pocket wi-fi and use it as a hot-spot; this turns every cafe into your friend. But it can be somewhat expensive option — these range from upwards of 1000¥ ($9) per day. You can also order a sim card packed full of data before you arrive and pick it up the airport. Places such as BIC Camera also sell sim cards, which you can pick up easily once you’re living in Japan. Usually, if you are a tourist, you can’t get a voice sim, which can be frustrating. But if getting online is all you need, you should be fine. Apps make living in Japan so much easier. That’s not to say you can’t live without them, but simple things like using a washing machine can be a minefield if you can’t read Japanese. Luckily there’s good old Google Translate with its very handy camera feature to help you out. Hold the camera over the text and hopefully, it will make some sense. Google Translate is also amazing for shopping and knowing what to order in restaurants. I’ve even used it to check into hotels with the speech function. A great way to keep on top of your everyday expenses as a digital nomad in Japan is by using Xe. Most likely you won’t be paid in yen, and the straightforward app shows an up to the minute exchange rate. It’s great for keeping you from going wild and spending too much at the shops or on transport. Using Google Maps is almost essential when it comes to travelling around in Japan, it makes commuting on public transport stress-free and will even show you the cheapest option. Downloading Maps.me is always a good idea, especially if you don’t have internet on your phone and you find yourself lost. Then there’s that other aspect of living in Japan — earthquakes. If you’re in Japan long enough, you’ll most likely feel the small wobble of an earthquake. It’s important to know what to do in the case of a big earthquake and keep up-to-date with things like tsunami warnings or landslides. These are real risks, so having emergency apps is a good idea. I have three such apps: Safety Tips, which comes with weather warnings and local advice; Japan Shelter, which informs you of your nearest emergency shelter; and Quakefeed, which alerts you to nearby quakes. There are just so many things to do in Japan, especially outdoors. You can go snorkeling in the subtropical south; you can go skiing anywhere from Nagano to Niseko; you can hike one of Japan’s many pilgrimage routes — including Shikoku’s 88 Temples; and you can cycle the Shimanami Kaido. And then there’s climbing iconic Mount Fuji. Eating is a massive pastime when you’re living in Japan. You’ll never get bored if you’re a fan of food. 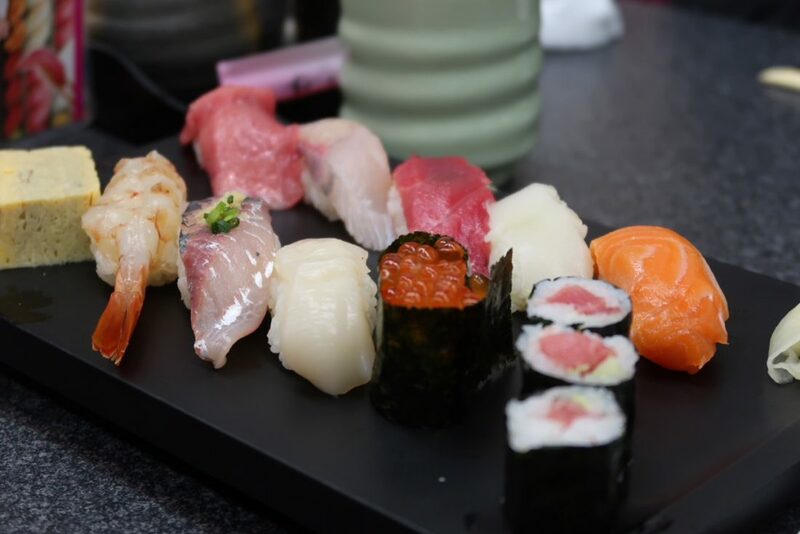 There’s so much more to Japan’s food than sushi and you can simply spend your free time eating — like many Japanese people do! The music scene is vibrant and gigs are going on all the time, from punk to classical and techno. The gaming arcades also are a big deal in Japan; there are loads, and if you’re into gaming, you’re going to love living in Japan. Shopping is also a really fun thing to do. From high-end fashion and flea markets to 100-yen stores, Japan is full of opportunities to shop until you drop — ‘till late, too. Another tip: never pass by a temple or shrine in Japan without having a look. You never know what ceremony is going on. Walk around and be enthralled. For digital nomads, living in Japan isn’t always easy, and it’s far from perfect. As a digital nomad, it can be difficult at times and you’ll need to prepare for some obstacles. Learning some of the language, especially reading (it’s not that difficult), knowing the customs and meeting locals will help you immerse yourself in the community. Living in Japan means being able to really experience the culture of this incredibly beautiful country. Japanese people are amazingly kind and a lot of fun to hangout with — especially at the izakayas (pubs). 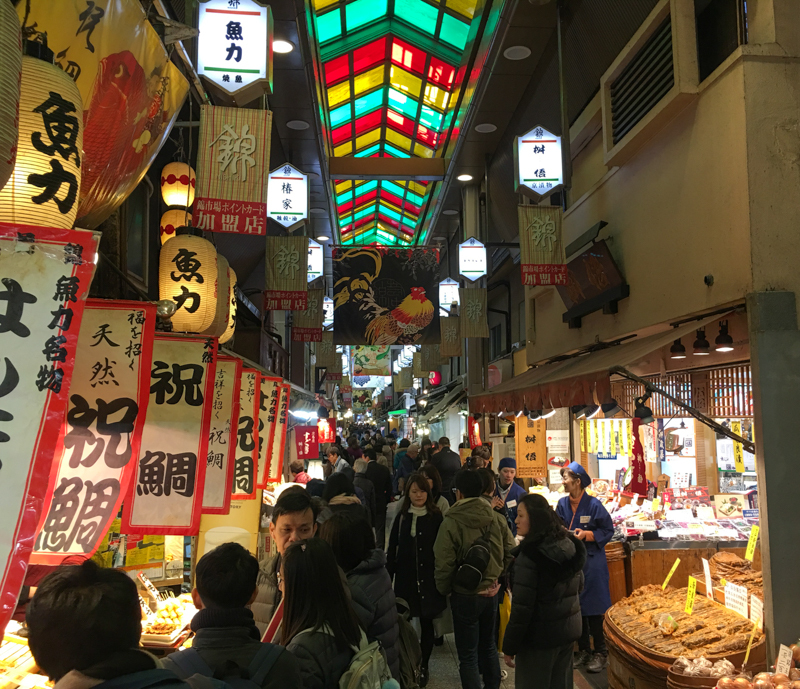 If you want to experience unique culture and tasty food after a day of work, instead of just lazing around on a beach, then living in Japan is an excellent option for you.